We would like to present a window that Hydrosight made for a customer in Tel Aviv, Israel in 2014. 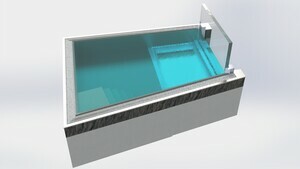 The glass bottom window will rest at the bottom of the pool at approximately 70cm water depth. It is 200cm wide and 120 cm long. 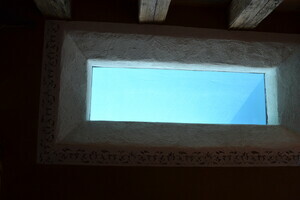 The window sits between the bottom of the pool and the top of the underlying room. The customer required the acrylic bottom to sit flush with the ceiling. 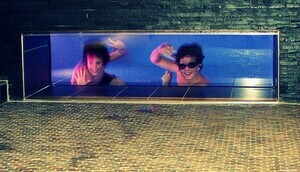 This is rather unusual, as most of the customers require the window to sit flush with the pool bottom.